At GoodGame Studios I worked on an asymmetrical PVE/PVP Action RPG using Unreal Engine 4. I built levels and co-designed the primary gameplay mode. When the company decided to re-align its projects to casual titles in the mobile & browser game space the project’s development was cancelled (unfortunately). See below for a video teaser and description of my work on the project. The game’s initial concept was a PVE-focused online game about demon hunters whose goal was to clear dungeons from corrupted creatures. It wasn’t strictly PVE, however, as the dungeons could be invaded by other players controlling powerful demons. The dungeons were going to made up of modules that an algorithm would stitch together (plus small randomized elements and events). 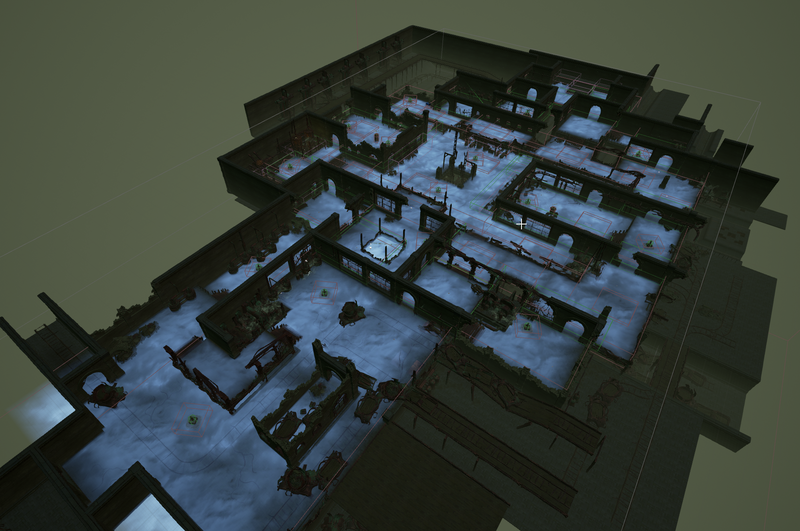 A unique feature in comparison to similar isometric games was that the layouts were not only going to be connected horizontally but also stacked on top of each other and be connected via stairs or drop-downs and ladders. In combination with the procedural nature of the level layouts, this required special consideration in the design of the architecture of the modules. The initial scope of the project required a massive amount of content. On the aggressive schedule and at the quality level we were aiming for it put too big of a burden on the relatively small team. 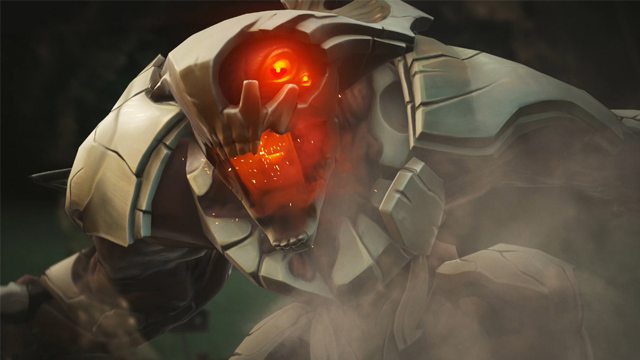 The game’s direction therefore shifted into a more condensed PVP experience that put the asymmetrical gameplay of 5 hunters versus 2 demons plus their corrupted AI minions front and center. To make the game attractive to competitive players and make matches more comparable we put the procedural elements on the backburner and focused on fixed layouts. provoke team battles over valuable locations. Essentially, each team starts with a balance of respawn tickets that drain over time. Respawns cost tickets and drain each team’s balance further. When the balance reaches zero, they can no longer respawn and the team loses as soon as their last remaining teammate is eliminated. Additionally, each level is split into different territories that each contain a ‘Corruption Node’. The more Corruption Nodes are active on the map, the faster the Hunters drain tickets. The less are active, the faster the Demons drain tickets. Also, AI minions only spawn in territories that are corrupted, which is another incentive for Demons to protect the nodes. 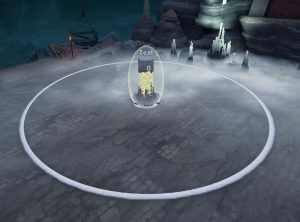 The way to disable a node is to defeat 3 AI enemy waves that guard it to make it drop its shield and then strike at the core. After a cooldown-period, however, Demons can heal the nodes and re-corrupt that territory. 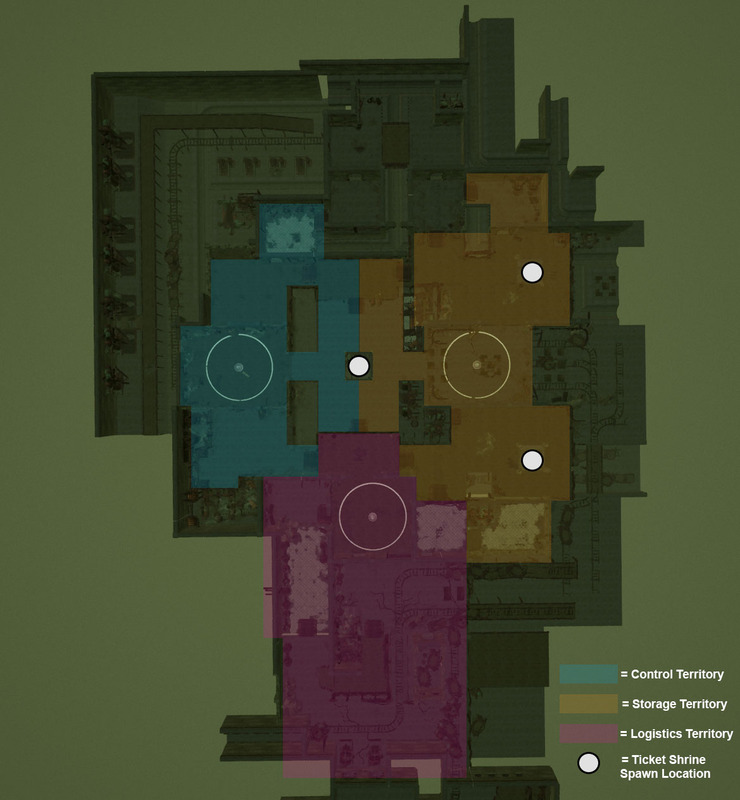 In the layout above, you can see potential spawn locations for ‘ticket shrines’ as well. These are interactive objects that spawn randomly in intervals and can be captured by both teams to re-add tickets to their team’s balance. It both serves as a comeback mechanic and adds a bit of unpredictability to the game. 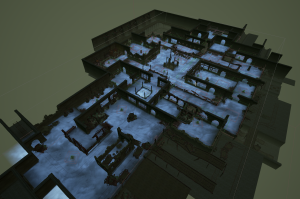 I whiteboxed and tested many map layouts. 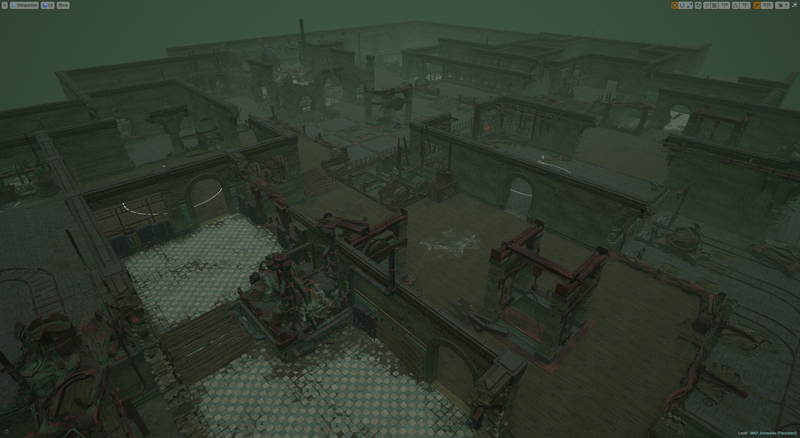 Here are two screenshots of ‘Ironworks’ – the one that got the furthest in terms of development of the layouts I created. This was a quick run-down of some of the work I did on this project. A shame that – as it stands today – it will most likely never find its way into the hands of players. I am still very proud of what this new team using new tech at Goodgame Studios could accomplish in relatively short time. I also learnt a lot about isometric games, modularity/randomization and PVP game and level design.